Get your own website in just four basic and easy steps. We will discuss plan with you. Get your design as per according to you. Get website on delivery date. User friendly and SEO friendly design. Great work with Cascading Style Sheet. Connect users with working contact form. USRAWAT is one of the best web designing company in Delhi. At USRAWAT, we started our journey in the year 2013 and at the present day we have more than 250 happy clients. Providing top class web design services is our first priority work. Our thinking and ideas play an important role in our projects. We have curiosity to learn new things and implement and perform those things in our projects. At USRAWAT we provide all types of services related to web designing and development, search engine optimization, digital marketing, social media optimization, eCommerce website development etc. If you have any inquiry or searching for a web development company in Delhi, then you can simply assign your work to us, we will provide quality and custom web design services to you. We are also at the top place in the eCommerce website development and software development. For website inquiries, call 9718785769 or mail us at info@usrawat.in. USRAWAT is the award winning web designing company, located in Dwarka, New Delhi, India. Association and great partnership with our precious client is our strength it helps us to understand ideas, business strategies, and goals etc. Designing and developing websites, providing SEO services, SMO services, internet marketing solutions and present customers' brand more effectively. Show your presence online today! Do not hesitate to ask any type of question related to web design and if you are looking for a website designer in Delhi call 9718785769 or mail us at info@usrawat.in. At USRAWAT we work for startups, entrepreneurs, small scale industries, medium enterprises, large scale enterprises and web agencies around the world. We are always passionate about work, focused, innovative, eager for knowledge and trust in providing the best quality services to our customers. To get best deal call or mail us today! I am specializing in standards compliant web site design & development for 5 years , plus graphic design, eCommerce website development, search engine optimization, PHP programming and multimedia solutions for companies. I will help you to create the website that you have in your mind. I create captivating pages that hold the client on the website & also I do the hosting & maintain your website for you. Want to outsource your website work? If yes, then you are in the right place, We are a web designer in Delhi and freelance web designer in Delhi. We at USRAWAT, provide freelance web design services in Delhi and all around India. We are passionate and understand the requirements of the customers. We can manage your complete business website solutions like logo design, brochure design, catalogue design, business visiting card designing, website designing and web development, social media optimization and search engine optimization marketing and Google Adwords account etc. Once we get a call from your side we can understand the rest of the things. Our responsibility is to create high-quality websites and to provide best website related services to our valuable and premium clients. Being a web designer in Delhi we give our helping hand to our valuable clients whose aim is to promote their business nationally and globally through their online website and online search engine optimization marketing. We are one of the leading web design company providing website services for eCommerce solution, accounting solution, digital marketing solution, online news portal and solution for Multi level marketing. I had the experience of getting my website designed and hosted by Upendra Singh Rawat, a Delhi based Web Designer and I received impeccable quality service with rock bottom pricing. All work was done before the promised deadline and the website was up and running with the best features. I think at this time this guy is the best web designer in Dwarka, Delhi. Keep up the good work. All the best. 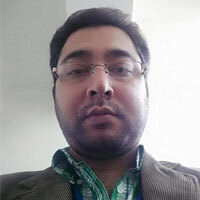 We had assigned our website to Mr. Upendra Singh Rawat, Web Designer in Delhi and Web Developer and it is up to the mark and so many of our customers have asked for your reference too. He has done our website work at the appropriate time, and that's what we want from him. He is such an innovative designer, I appreciate his work. Good work. Keep it up. We are manufacturer and traders of automotive and industrial lubricant oil based in Gurgaon under the flagship "CARTRIX LUBRICANTS INDIA PRIVATE LIMITED" contacted Mr. Upendra Rawat for our website, we are very happy to have him and appreciate this fellow as a best website designer in Delhi and especially in Dwarka. We wish him all the best in his future contract's. 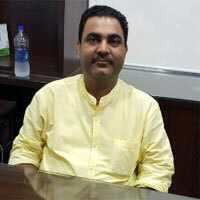 Managing Director, Cartrix Lubricants Pvt. Ltd.
You did a great job of not only creating our website how we wanted it to be, but also gave us great insight on what you believed will help boost our sales. Your proven experience and excellence is the reason why our company would recommend you to anyone who is looking to create a customized website in Delhi. Thanks a lot. Keep it up and I wish for your successful future. A range of products from Home & Institutional Lighting. Professional Transcription Services for Medical Practice. A Complete Hospital Marketing Solution. Mutual Benefit Company, A Non-banking Financial Institution. Producers Of Automobile and Industrial Lubricant Products. Complete Glass and Stainless Steel Solution. Fabrics, Saree, Ceramics, Brass etc. Store In Dwarka. Hotel Marketing Company That Works With Standalone Hotels. Designed by Upendra Singh Rawat.